Sutton Foster returns to Broadway in Brian Crawley and Jeanine Tesori's musical. 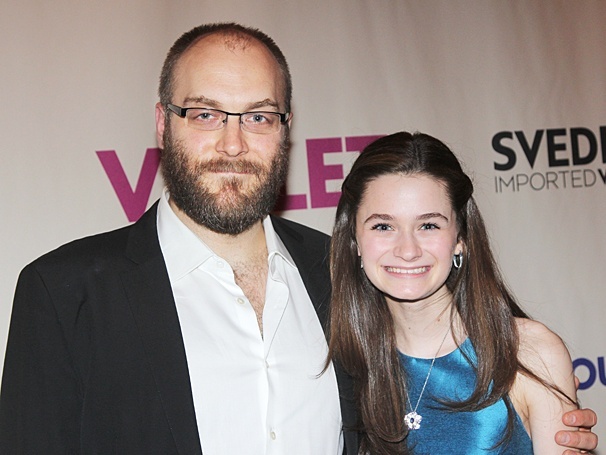 Alexander Gemignani and Emerson Steele play father and daughter in Violet. Sutton Foster, Joshua Henry, Colin Donnell and the cast of Violet celebrated their official opening night on April 20, 2014 at the American Airlines Theatre. Click for photos from the star-studded party!